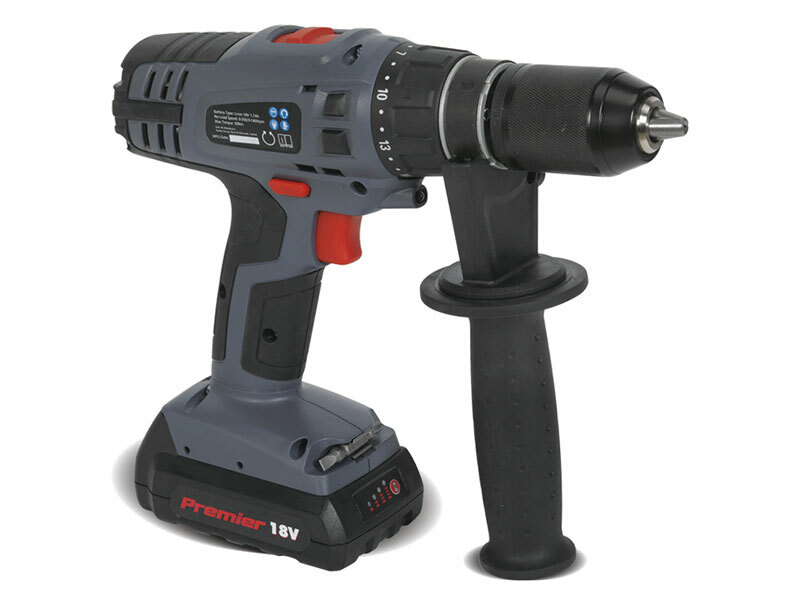 The professional heavy-duty hammer drill comes with 18 torque settings and a built in LED light for illuminating dark areas. The ergonomic design allows for better comfort and operating ease. Supplied with two Lithium-ion batteries. 13 mm Single sleeve chuck with spindle lock for quick and easy bit change.